Robert Gerstmann was a German engineer and professional photographer who spent much of his time from 1925 to 1929, and later on, taking pictures of the tin mines of Bolivia. There were only three tin mining companies in Bolivia then, and two were owned by foreigners. Gerstmann worked mainly for Mauricio (Moritz) Hochschild, who was also from Germany. The mine owners were eager to show off their work. 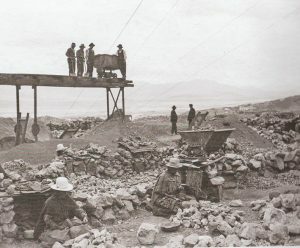 Tin had replaced silver as the target mineral in Bolivia around 1885, and during the First World War the need for metal for arms had revolutionized Andean mining. By 1925 Bolivian mines were largely state of the art, with massive diesel motors to power the mills and long cable winches to lower miners down the deep shafts. The mines were modernized with foreign investment and management, and fantastic profits from the tin went into just a few hands. Taking photographs in the early 20th century was a clumsy business. The cameras were heavy and could only take one photograph at a time, using delicate glass plates. Gertsmann had to use a tripod and estimate exposure by trial and error. He had to develop the plates himself and make prints in his own darkroom. 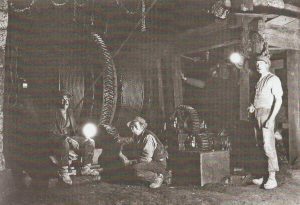 He was also an innovator, and in the early days of electricity he had found a way to run a cable into the mine galleries to flood them with light. Despite the technical challenges, a skilled photographer such as Gertsmann was able to capture rich and detailed pictures. The owners gave Gerstmann the run of the mines, where the 30-year old’s curiosity took him from the head offices, to the tidy storerooms, the engine rooms with their monster machinery, and into the deep mines. 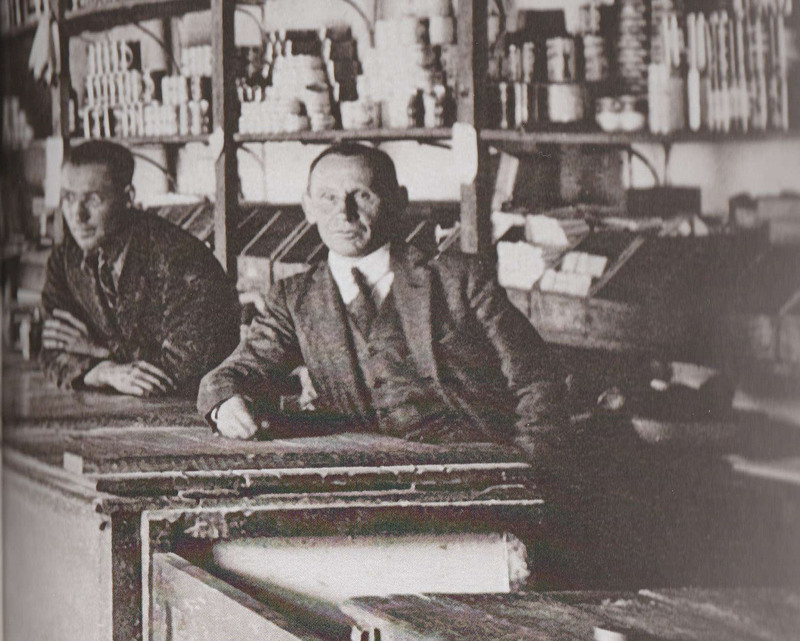 Gertsmann spent most of the rest of his life in South America, until his death in Chile in 1964. Recently, a group of Bolivian and foreign social scientists discovered Gertsmann’s photographs, including over 5000 prints, some original plates and 30 minutes worth of movies. Anthropologist Pascale Absi and sociologist-historian Jorge Pavez were intrigued by the scenes Gerstmann had captured and have published a selection of them as a book. Absi and Pavez went one step further. They showed the selected pictures to retired mine workers, who told the story behind Gerstmann’s photographs. He wrote little himself, mostly noting the names of managers and engineers who appeared in his pictures. Laborers were labelled by their job description, e.g. mine cart operator. Explanations by the retired Bolivian workers brought the photos to life. Two men are shown selling canned sardines and other goods in the company store (pulpería), created to entice workers to stay on the job as labor became more valuable. 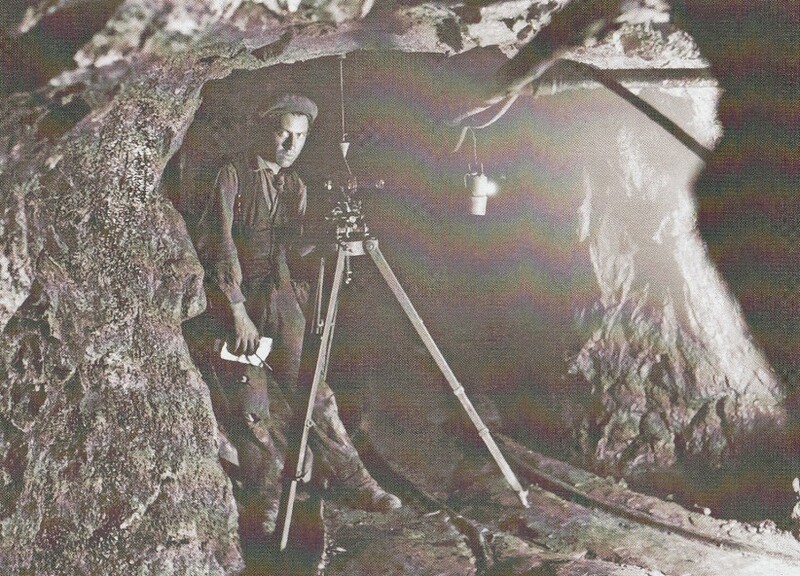 An engineer with a theodolite is measuring the length of the mine gallery, to tell how far the mine has advanced. One photo conveys action and hard work, as a mine worker is shown drilling at the rock face. Yet a crucial feature is missing. The retirees explained that the worker had to pose, otherwise the drill would have made so much dust that one would have been unable to see the worker, even under Gerstmann’s bright light. In another picture, a worker is drenched with water. A colleague has doused him with a hose to cool him off. It was often unbearably hot inside the mine. In a moon-like landscape of dust and rock, women huddle in the cold to sort ore from barren rock. 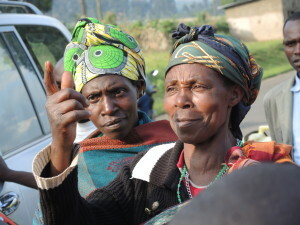 The retired miners can tell where the women are from by their distinctive clothing. For example, a woman in a white hat with a distinctive black ribbon is from Cochabamba. She has come over 100 km to take this job as a palliri (the Quechua word for the women who select the ore). Photographs are a powerful communication tool which not only tell a story, but help to unlock people’s memories. Although the Gerstmann photos were taken to pad the egos of the mine owners, the pictures also reveal the lives of ordinary people from a bygone world of dangerous work and low pay, when shifts could be as long as 48 hours, and when injured workers were simply dismissed with no compensation. Photographers don’t always write very much, and by themselves the pictures don’t tell the whole story. But Gerstmann’s innovative pictures, when narrated today by people who lived through the times he recorded, have given us a rich and lasting record of Bolivia’s mining past. The digital photographs you take today may tell your story later. When I bought my first digital camera in 2001, Eric Boa taught me to label the pictures. I have labeled them ever since. The more text you include with your photos, the easier it will be for you and others to later read the story behind the picture. Absi, Pascale & Jorge Pavez (eds.) 2016 Imágenes de la Revolución Industrial: Robert Gerstmann en las Minas de Bolivia (1925-1936). La Paz: Plural Editores. Across Africa, you can now buy a phone with a built-in camera for as little as $30. Millions of people in Africa and around the world can now take, show and share photographs for the first time. Digital photography has succeeded where conventional film failed (in part because you can avoid the expense of developing and printing). This makes it easy for all the people involved in agriculture to show others what they do and who they work with. It should be a golden age of illustrating agriculture in all its glory, but recent experiences show there’s still a long way to go. During the recent Access Agriculture week in Kenya, I asked for photographs to accompany stories about farmer training videos. I was pleasantly surprised that all the authors could provide examples of their work. My delight quickly faded as I discarded many poor photos. They may have looked OK on a small phone screen but this is a poor indication of whether they’re suitable for publication. The better photos were publishable, but content was weak. 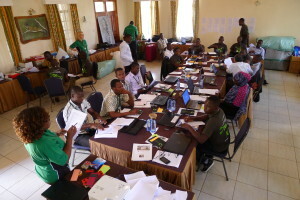 Many people had taken photos of groups of farmers in a field or people at a meeting. But a photo needs a compelling feature, such as a person pointing, an animated discussion, holding a piece of equipment or an unusual viewpoint. A view of peoples’ backs is almost always dull. I recently started carrying an inexpensive selfie stick to capture scenes from a fresh angle, holding the camera high above my head. Of the photos I saw last week, two stood out: a farmer glaring at the camera, holding a DVD at the entrance to his house; and a woman in a field with a bunch of Striga plants, a troublesome weed. The farmer had resolved not to lend precious training videos after some friends had lost the DVDs they previously borrowed from him. The woman was earning money from contract weeding, a new job suggested by a training video. The photos were simple but effective. Each made a good story better. Clever technology, such as a digital camera or laptop, makes it easier to be creative. But technology doesn’t make you a skilled photographer, or a good writer. You have to learn skills, practice your craft and get feedback from others on your efforts, just as we did during the writeshop. In hindsight, we spent so long on writing that we barely had time to consider photography. Nobody seemed to mind much, which is a pity, because photographs do matter. We take for granted the high quality photographs that are carefully chosen by newspaper and magazine editors, advertisers, websites and so on. We did eventually find photos for each story, drawing on the photo libraries of the editors, but it’s a pity we weren’t able to use more of the authors’ own photos. I printed all the stories at the end of the writeshop and experienced the thrill of seeing the authors read their stories for the first time with photos. It’s a wonderful moment when people realise that their everyday experiences mean something to other people. And the combination of words and images is incredibly powerful. Becoming a better photographer is not something one can achieve overnight. But writeshops can do more to help people select photos to use in stories and show how cropping can increase visual impact. The best picture editors on newspapers are not necessarily the best photographers. 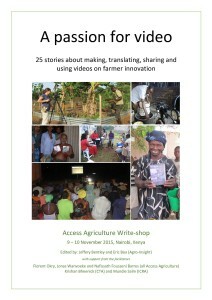 The people attending the writeshop already knew the farmers they work with. They speak the same language, share a common culture and see things that the fleeting visitor (me) is likely to miss or simply never witness. The accessibility to equipment and cost of photography is no longer an issue. A little thought and patience in taking photos of farmers would reveal much more of the hidden world of agriculture and better showcase achievements and progress around the world. Can I make some extra money?